I'm all about making lists; whether it be of things to do, inspirations, goals- lists are my way of coping with anxiety and brain dumping to stay motivated. For quite a while now, I've wanted to have a place where I can curate a few of my favorite items found through trial & error. Now that this blog exists, I'm able to do just that! Once I have created enough of them, I'll have a drop down menu at the top of this page linking you to my favorite items! Let's start this new series with the base of any makeup routine: foundation. Click read more to find out what my favorite ones are! I wanted to bring you as much diversity as possible when curating this list. Powder, liquid, drugstore, high-end, nontoxic, etc... there's a little bit for everyone to discover & love! 1). Too Faced Born This Way Foundation: Let me first disclose that my skin type is oily/combo/acne-prone with enlarged pores and uneven skin tone due to redness- yep, the whole shebang. I know, aren't I lucky? Anyway, because of my skin's oily tendencies, I must admit that this isn't actually one of my favorite foundations. However, I am recommending it because it truly is so stunning on the skin and would work for dry skin types beautifully! Many vegans I know swear by this foundation, and it truly is one of the most incredible formulas out there. I was able to wear it all winter by setting it with a powder, but now that Texas has decided to skip the cold weather altogether I've been forced to find something more mattifying. Undertones: Warm, cool, or neutral available. 2). E.l.f. Acne Fighting Foundation: This is definitely one of the most affordable options out of the entire list (although believe it or not it used to cost half the price it does now)- but that doesn't take away its greatness. If you need an easy to blend, medium/full coverage foundation, this is bae. Yeah, I called it bae. The only con I would have to mention is that it isn't very pale friendly. It also tends to oxidize a bit, and runs more toward the pink spectrum of tones. Undertones: Mostly cool, some warm. 3). Illuminare Mineral Foundation: If I had to pick a favorite out of the list, this would 100% be it. The mattifying one specifically has been my holy grail for a long while. The best part about Illuminare foundations is that there are 3 to pick from that suit anyone's needs! They offer moisturizing (fantastic finish), concealing (extra coverage), as well as mattifying (ultimate all day) formulas. My con for this pick relates to the previous issue, due to the shade range lacking in the dark skin department. Hopefully they expand the collection in the near future! You can also watch a full demo/application on my channel here. 4). Zuzu Luxe Dual Powder Foundation: I debated on which powder foundation to feature as Honeybee Gardens & Everyday Minerals will always hold a special place in my heart, but I went with the one I gravitate to on a daily basis. This is the perfect powder for a flawless non-cakey face. I don't find a need to set it, and haven't had an issue with it whatsoever. Some powder foundations cling to my dry spots and sink into enlarged pores, but this one seems to glide over my imperfections, giving my face a beautiful natural finish. It doesn't hurt that it's also non-toxic/green beauty friendly! 5). 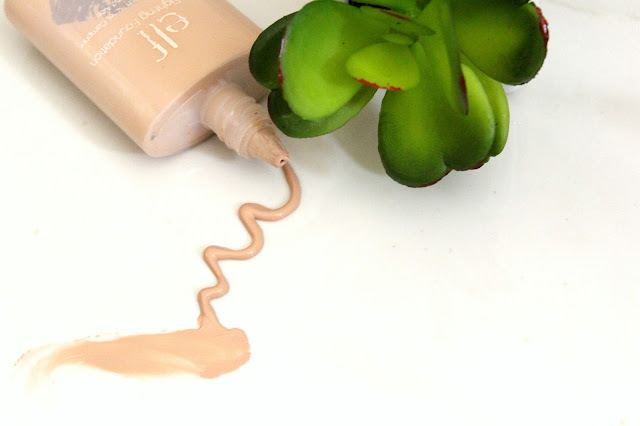 Sappho Liquid Foundation: This is my liquid non-toxic foundation pick! I was lucky enough to be sent a bottle by Nuciya (along with a few other things I'll be reviewing on a future post) so stay tuned for my full thoughts on it soon! 6). Rouge Bunny Rouge Foundation Essence Skin Soul Drops: I think it took me longer to type out the name than it will to tell you what I love about this foundation, hahaha... okay, Leti- focus. Not long ago, I tried the Cover FX custom cover drops and honestly did not like them at all- so I figured I would recommend an alternative formula to those of you with the same issue! These drops were not only easy to use, but they gave my skin a demi-matte finish without settling into creases. Please note that because it is a newer product, the shade range is also limited. I have a full review video on my channel you can watch here for more in depth information! 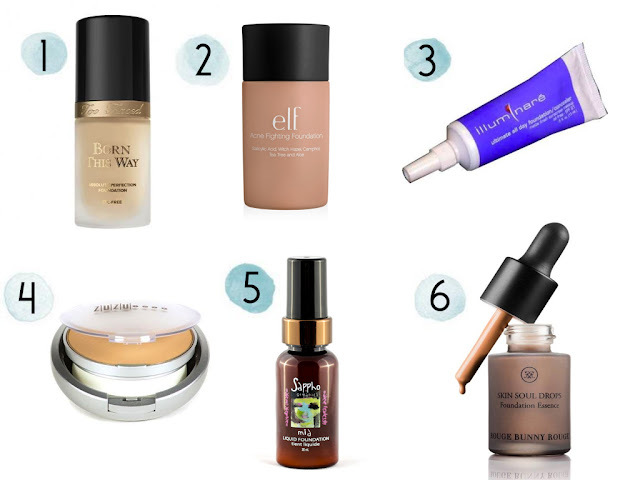 Those are my top 6 vegan & cruelty-free foundation picks! I also wanted to share a bonus tip with you and show my favorite tools for application. I love having a flawless coverage, and I find that using a brush and a sponge for application gives me the best outcome. 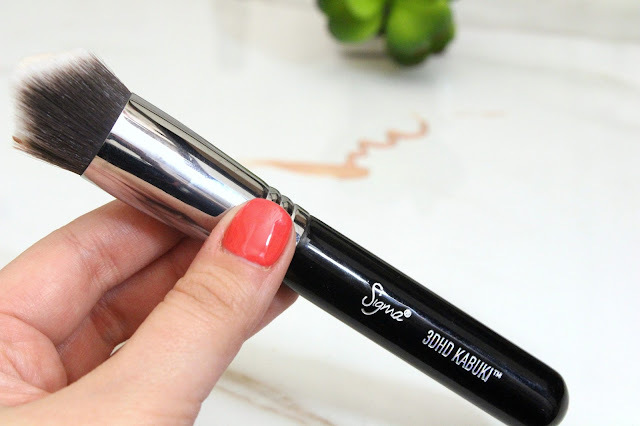 My Sigma 3DHD Kabuki brush is heavenly for liquid foundations! It seriously gives a flawless finish and perfectly curves around your face's features. Ever since using a sponge to apply makeup, I haven't been able to go back to solely using a brush! 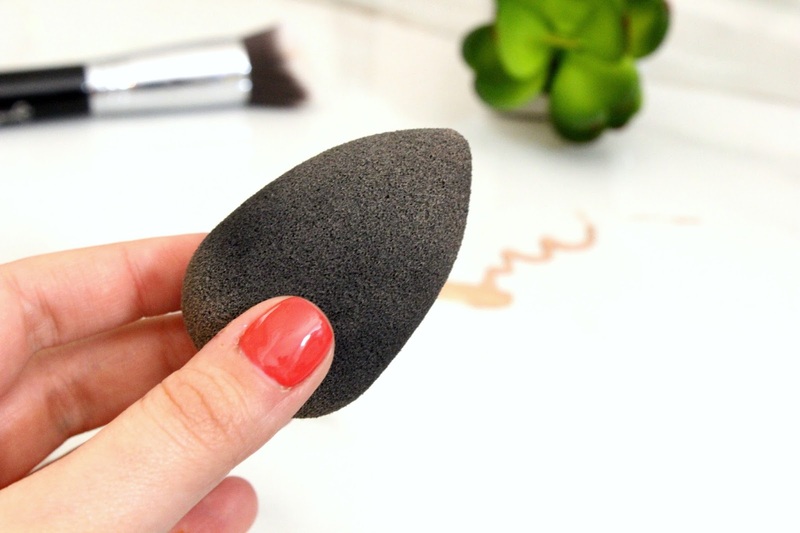 I feel like dabbing a damp beauty blender after applying your foundation with a brush really helps it look as if your skin is makeup-free. The only reason I choose to use both methods together is so the sponge itself does not have a chance to eat up too much product on its own. I hope you enjoyed this post and that it helped you find a foundation that perfectly suits your skin's needs! If you have any additional favorites feel free to comment them below- I'm a foundation junkie and love trying out new formulas! Do not neglect carbohydrates Andro Beast in your muscle-building diet. Your body needs the energy carbohydrates provide and if there aren't enough, your body breaks down protein and uses it for energy. Consume enough carbs so your body can operate properly, and you can last through your workouts. Consider aiming past the hole by 17 inches on straight TestX Core putts for a better put. The reason is because there are no footprints around the 17 inch area surrounding the cup. This leads to plumper, thicker blades of grass that are likely to slow down your putts.